Now available for download! 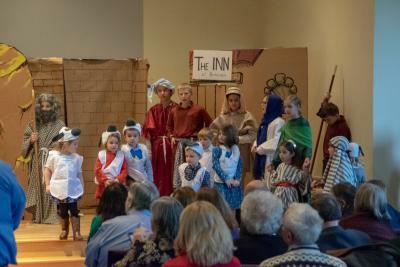 An original Nativity Pageant created by Rebekah Yergo (Church School Director at St. John Chrysostom Orthodox Church in York, PA) and Rosemary Shumski (Administrative Assistant at the Department of Christian Education) is available for use in your parish. The writing, stage preparations, and costumes will be a hit with your children, who will feel like they are in a real production! View the photos of the 2018 production.